With iBuildApp Mobile App Maker anyone can create, customize and manage your Android and iPhone app from web site. iBuildApp today announced the launch of mobile App building platform, a mobile app service for businesses to easily make and distribute a mobile app in minutes without writing any code. Google webmaster tools is a web service that helps web masters to manage your site's presence in Google search results. You can use Google webmaster tools to find Google index of your website. 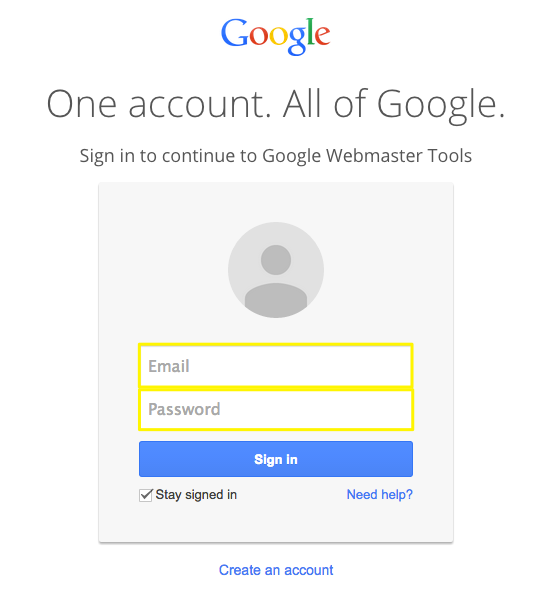 - Use your web site password for the Google webmaster tools verification process. It is possible to add it back later once your domain is verified. - Some webmaster had domains from domain distributor. In this case it must be connected to your domain. i would recommend to hold for 2-3 days once your domain is connected in order to start verification. 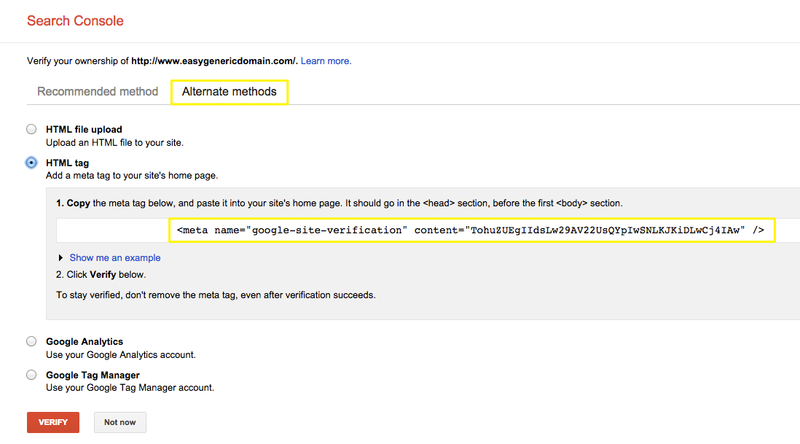 - I would also not suggest to do verification with Google webmaster tools on sites that still not set up. - A Google gmail account is required tin order to log into your account. To start please log into your Google account. - Type in your primary domain again. In order to confirm your domain is the main one, visit Setting a primary domain. You can use a verification method depending on your domain provider. if you want something easy you can use HTML Tag method. Click on Alternate Methods and next verify HTML Tag. Copy meta tag in there. 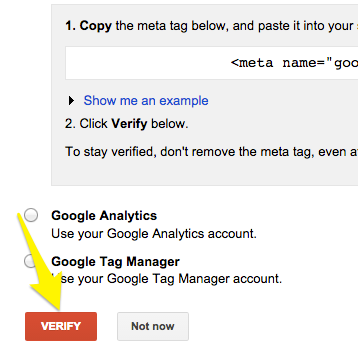 Note: for those ones that verified it with Google Analytics, please got to Google Analytics, and press on Verify button. Now log into iBuildApp site in your dashboard. In your app menu, select Settings, click on Advanced, and select copy/past your code sniper. In Google Search Console, click on Verify button. iBuildApp offers a web-based do-it-yourself platform for building HTML5 apps. With this tool, anyone can create, customize and manage an iPhone/iPad/Android application. Currently the mobile web app solution supports all major mobile operating systems, including iPhone, Android, BlackBerry, Nokia and Windows. Through the client it's easy to customize an app with images, icons and skins, add social media, change fonts. Include extra features like events, locations, ecommerce, audio/video streams, etc. “While you are building your app, you can preview it in the preview window, to see how it will work on the real device. This service from iBuildApp is free so you can quickly build and update your web mobile app in a few minutes. You can also reuse content from your own web site and make it mobile,” said Rafael Soultanоv, CEO of iBuildApp. eCommerce and promotions features that help businesses to target mobile users with new offers and services. GPS functionality to help businesses target users by location. Video and Audio Streaming as well as image galleries to display products. Customers can review photo galleries, get video and audio streams, get directions, and many more features. The ability to customize apps and add social media features. Preview apps before publishing to see how the app will work on a real device. Quick to build and update a web mobile app with no need to wait for app store approval. Ability to make instant updates to the app. There are strong advantages to using the self-service solution from iBuildApp mobile web apps such as no need to wait for app store approval and the ability to instantly deploy updates. We help companies to connect and engage customers to promote business, to keep customers updated and encourage their loyalty with rewards with key features including Mobile Commerce, Mobile Advertising Management, and Social Networking Tools.